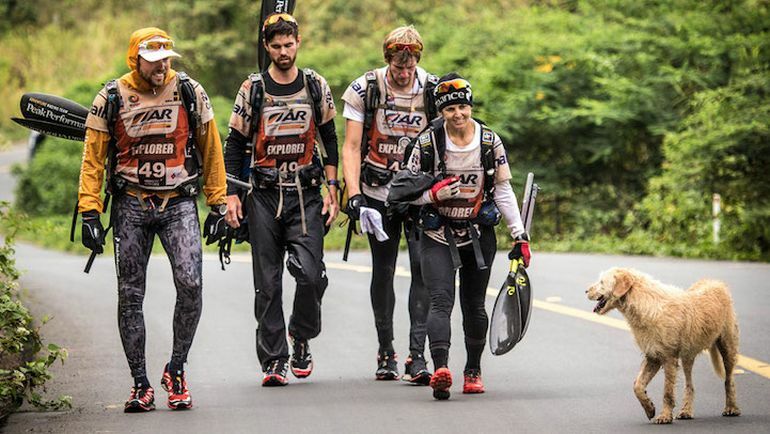 Stray dog joined a Swedish team at will, to complete a 430-mile race through the Amazon! 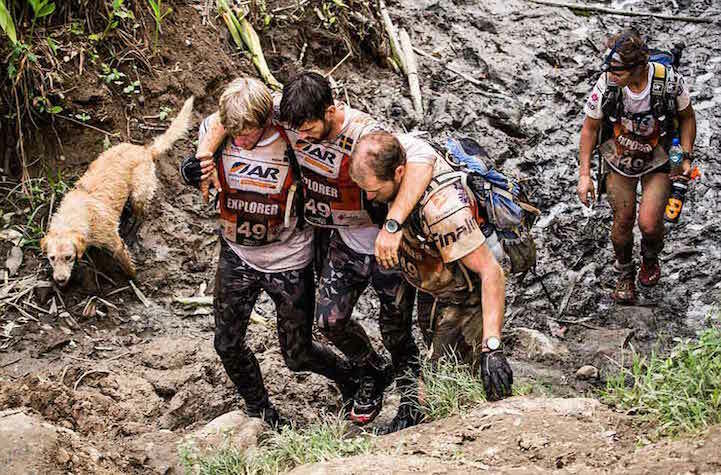 A small act of kindness can result in heroic deeds – this is proven by a stray dog who traversed through forests, rivers and trails just to follow a Swedish team competing in a long endurance race in Ecuador, back in November last year. 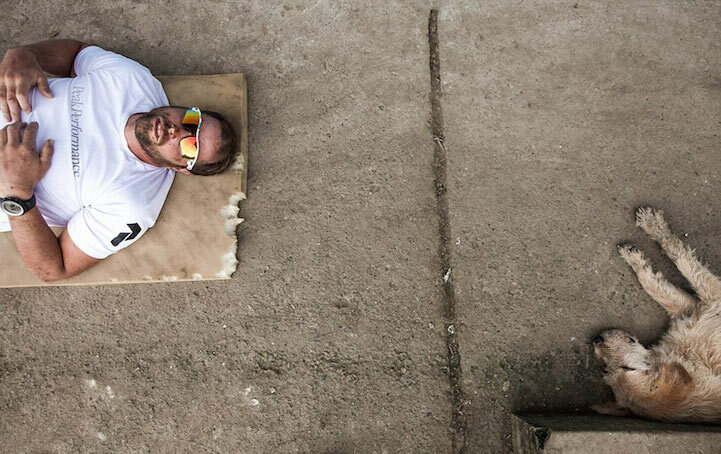 The incredible adventure started when the team was taking a quick meal at one of the points of the arduous race that covers a whopping 430 miles (688 km) through the Amazonian jungles. 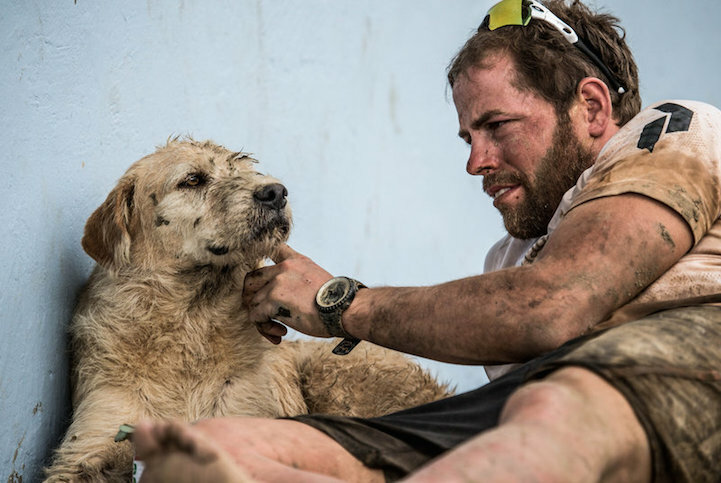 During this very short interval, one of the team members Mikael Lindnord observed a stray dog with its shabby bearing, and at once took pity and offered him a meatball. 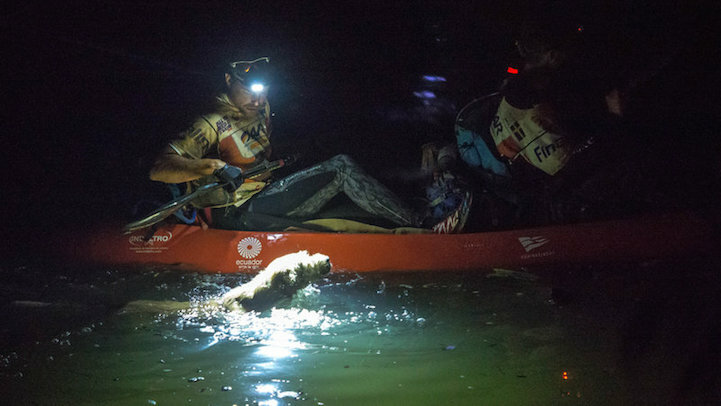 And there was where the ‘deal was sealed’, with the dog proving to be an unflinching companion to the Swedish team as they took part in the grueling progress through the wild over a day-and-night cycle. 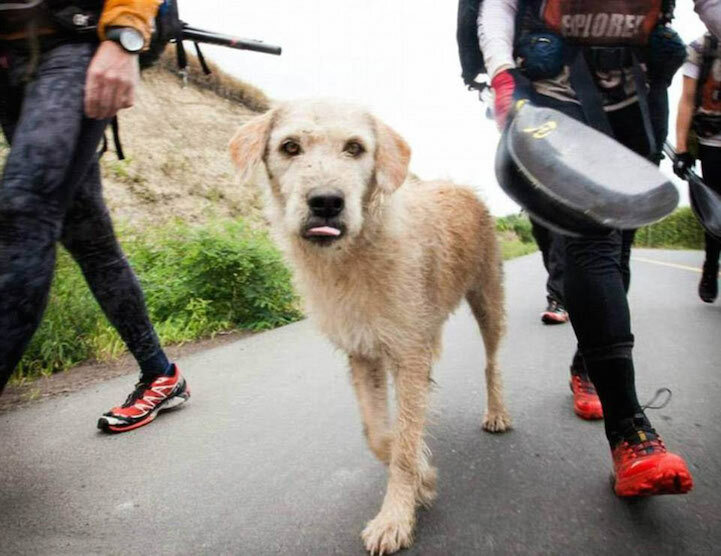 The organization gave the advice not to bring dog Arthur out on the last leg — a dog in the kayak didn’t seem like a great idea — and the team was going to follow this advice. Mike, Simon, Staffan and Karen put their kayaks down in the water and set off, but Arthur refused to be left and started swimming. This was too heartbreaking for the team, and Mikael helped Arthur up in the kayak. This led to standing ovations from everyone on the shore, seeing the five (!) team mates set off. 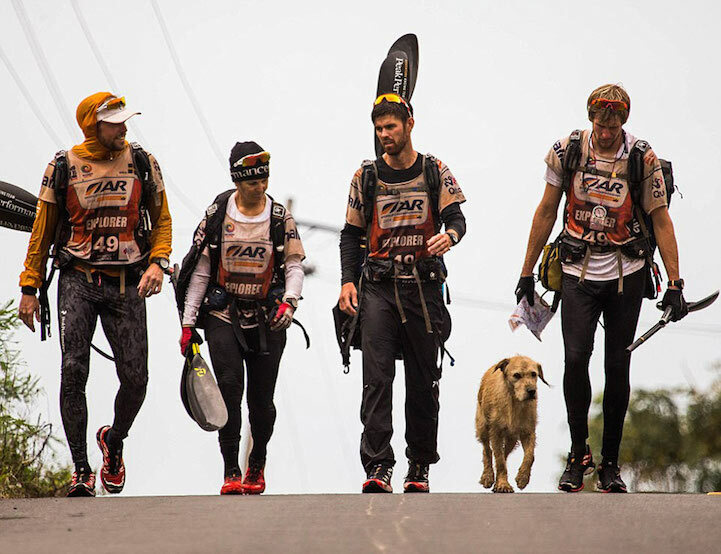 Finally, after six exhausting days, the team that started out with four members, completed the endurance race with five members, and emerged as the 12th top team in the entire world. The story of course doesn’t end there – with the question still lingering about what to do with Arthur after the race is over. The teammates decided on bringing Arthur back to Sweden, where Lindnord and his family would look after him. 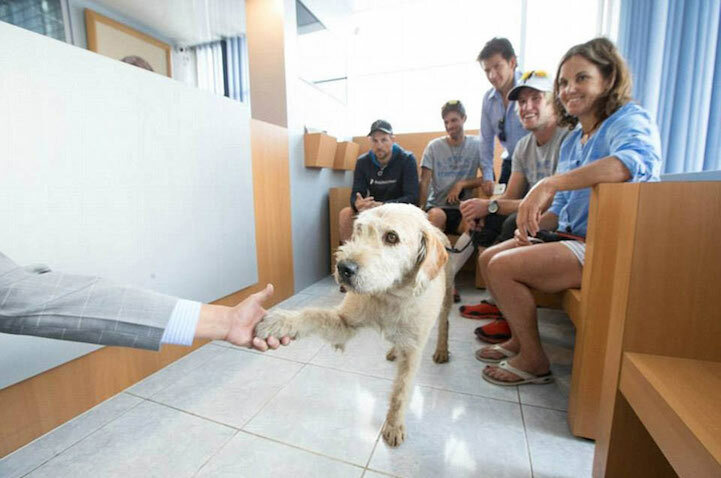 So, as a solution, they embarked on a Twitter campaign that allowed them to raise money to not only bring Arthur back to Sweden, but also monetarily covered the treatment of a grave injury the dog suffered long before the race. 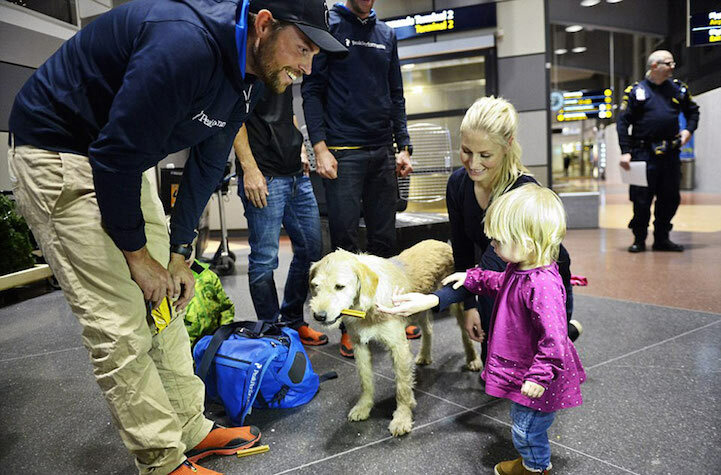 The rest as they say, is history – with the dog successfully making it back to Sweden. However, after the overseas journey, he was kept in a customary dog quarantine for 120 days and then underwent a dental surgery. And as of now, Arthur is living happily with his new found family in the small locality of Örnsköldsvik, Sweden. Furthermore, the fascinating feat of the canine companion had also inspired the team to set up a charity organization that supports the adoption of stray dogs as pets.